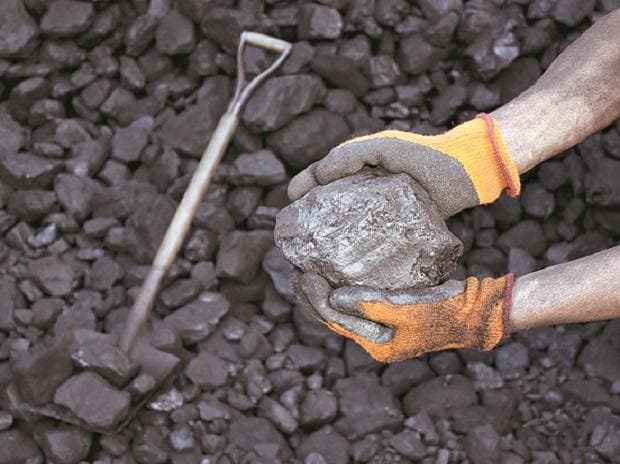 Coal India is expected to put another 25-30 million tonne (mt) of coal under the hammer in the ongoing fiscal quarter. This is after e-auction volumes dipped following the decision to pump in more coal to the power sector via fuel supply agreements. The coal behemoth has been able to book 54 mt of coal via the e-auction route till December (first three fiscal quarters) as against 79 mt in the similar period of the last fiscal year, registering a 31.65 per cent dip. On the other hand, its offtake via the fuel supply agreement (FSA) route to power plants increased by over 12 per cent. “We have signed new FSAs totalling 32 mt recently. As more coal gets routed via the FSA route, e-auction volume will be low”, a senior company official said. However, the official told Business Standard that production between January and March is expected to be substantial, which will leave Coal India with more available volume to offer in the auctions. “It is expected that another 25-30 mt of coal will be offered this quarter on the auction platform”, the official said. Coal consumers from the non-power sector have long been complaining about coal availability as most of this fossil fuel is being routed to feed the coal-starved thermal power plants. Coal India’s production as well as the offtake was hit in December owing to industrial unrest due to cyclonic disruption in its key production zones in Jharkhand and Odisha. Besides, availability of rakes from the the Railways also constrained the company from supplying more coal. South Eastern Coalfields (SECL), its most important subsidiary, registered a 13.1 per cent fall in coal production in December at 12.52 mt while Mahanadi Coalfields, the second-most largest subsidiary, registered a 3.2 per cent dip in production at 13.05 mt. These two subsidiaries account for more than 45 per cent of Coal India’s total production. Sales volume was also low at 52.77 mt which is a 1.2 per cent fall as compared to the similar month of the 2017-18 fiscal year. However, in the next fiscal year, e-auction volume is expected to dip further. “Given the limited buffer for e-auction due to strong demand in FSA and low production growth, we expect e-auction volumes to fall to 4-year low at 60-65 mt in fiscal year 2019-2020”, a report from broking firm Prabhudas Lilladher stated. According to a coal consumer, coal demand in China has been impacted in the recent past as it focused on higher LPG availability – an alternate to coal. Restrictions on coal import was also imposed which led to prices declining globally. “Indian buyers on the other hand took a wait-and-watch approach awaiting for clarity on price movements from the Chinese government move”, Deepak Kannan, managing editor of Asia Pacific of thermal Coal at S&P Global Platts said. E-auctions directly adds up to Coal India’s bottomline as the prices are often higher by atleast 60 per cent over the notified price. Thus, effectively while the miner spends the same amount of money to mine the coal which is either sold as linkage or put under the hammer, it earns 20 per cent higher in the auctions. Prices in the e-auction, however, are expected to remain stagnant in the Rs. 2,400 a tonne level backed by muted global coal prices. According to S&P Global Platts, the price of FOB Kalimantan 4,200 kilo calorie per kilogram GAR (gross as received) – which is imported in huge volumes by both India and China – have declined almost 22 per cent since October 1, given the sagging demand in China and improving supply in Indonesia. “Usually it’s rainy season from October onwards in Indonesia, but this year rains had only a minimal impact on production. Indonesia also allowed a production rise of nearly 5 per cent over their previous target, improving supply and putting pressure on prices”, Kannan said. The price of FOB Newcastle 5,500 kilo calorie per kilogram NAR (net as received) – which is imported in huge volumes by China and South Korea, Taiwan and other ASEAN regions - too lost about 10 per cent in the final quarter, mainly due to uncertainty surrounding Chinese imports during the seasonally strong fourth quarter.